Donald Trump has a lot of people angry. Over 480,000 people to be exact. That's where the number currently stands with an online petition that urges Macy’s to sever ties with him as their company spokesman. According to the petition, Trump is nothing more than a figure who “engages in especially unpleasant, nasty and despicable behavior” that doesn’t “reflect the ‘magic of Macy’s.’” and he must go! Trump hasn't commented directly about the petition but has taken to Twitter to promote his 'Success' fragrance and Macy's clothing line. The petition, which resides on SignOn.org was created by Angelo Carusone, who has previously campaigned against Glenn Beck. The homepage for the petition cites several examples of Donald’s ‘despicable behavior,' including his ‘sexist’ comments about women, his denial of climate change and his hypocrisy by manufacturing his own clothes in China but criticizing others for sending jobs abroad. 480,000 people is a lot; but, is it enough to convince Macy's that they no longer need Trump's services? Trump’s spokesman Michael Cohen spoke with The Daily News and expressed confidence in the strength of his client’s relationship with the retailer. 'Mr. 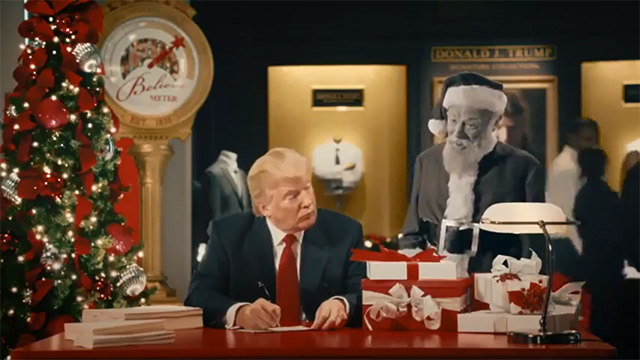 Trump is important to Macy’s, both as a brand and as an endorser. His ties, shirts, cufflinks, fragrances and other merchandise are top-selling items across the country – in particular Mr. Trump’s ties are the number one selling ties at Macy’s,' he said.